« What is climate-smart agriculture? 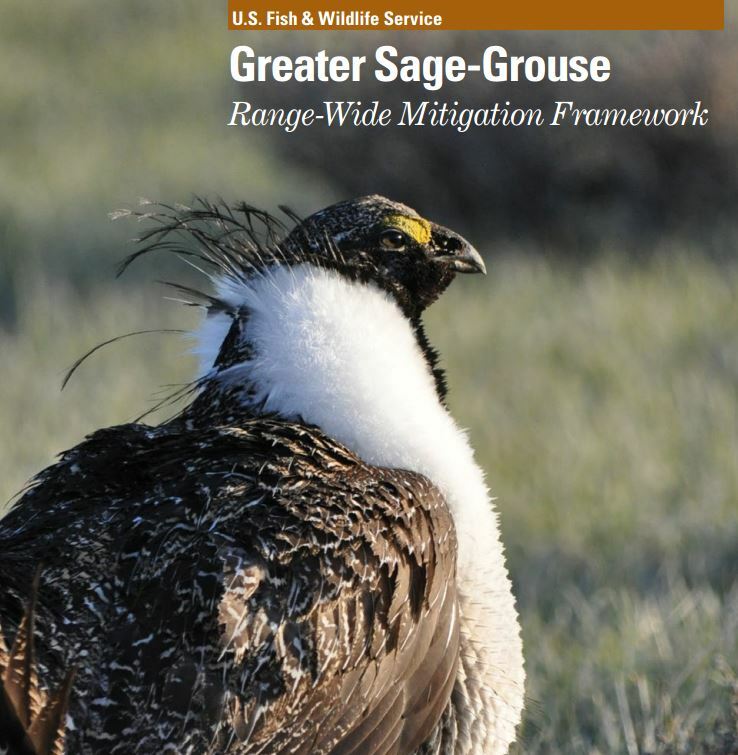 The Service’s framework sends a clear message: if you don’t want the greater sage-grouse to get listed in 2016, you will need to provide mitigation solutions with strong science, transparency, consistency and, ultimately, net conservation gains for the grouse. My EDF colleagues and I heard this message loud and clear. We read the guidance document with keen interest because, along with a wide range of state agency, conservation, energy and agricultural partners, we are working to launch a Greater Sage-Grouse Habitat Exchange to provide a scientifically robust mechanism for farmers and ranchers to conserve or restore bird habitat and sell mitigation credits to industry seeking to offset their impacts. A rancher near Malta, Montana walks across the sagebrush landscape – quality habitat for greater sage-grouse. The exchange allows farmers and ranchers to profit from the creation of habitat in the same way they do from the sale of beef cattle or grain. It is exactly the kind of incentive structure that can work quickly to not only improve greater sage-grouse habitat conditions, but also provide a new revenue stream for landowners that will ultimately boost local economies. As each of the 11 sage-grouse states (Oregon, Washington, California, Nevada, Idaho, Montana, Wyoming, Colorado, Utah, North and South Dakota) prepares its case to avoid a listing determination, it should keep the Service’s message in mind. A year from now, the Service will announce the intent of their decision to list or not list the greater sage-grouse as “threatened” under the Endangered Species Act in 2016. That gives us 12 months to prove that there is a viable mitigation tool to recover the bird, precluding the need for federal protection. Observe an appropriate mitigation sequence. The Service highlights that compensatory mitigation or offsets should only be used on a project after authorities determine that all avoidable impacts have been avoided and residual impacts are minimized. EDF shares the view that avoidance and minimization are essential preconditions to the use of compensatory mitigation. Attain net conservation gain. Avoidance and minimization are not adequate on their own to help recover populations of greater sage-grouse. For populations to grow, residual impacts must be offset at a greater than even ratio to ensure that new habitat is developed or enhanced. Only then will a mitigation program result in net benefit for the bird. Use a landscape-scale approach to inform mitigation. The greater sage-grouse is a wide ranging species that requires different resources annually and throughout its life cycle. The bird needs to move across the landscape and to be relatively free from major disturbances. Ensure transparency, consistency and participation. Any mitigation program needs to have clear rules, a high degree of transparency, and motivate a high degree of participation by both industry and agriculture. Base mitigation decisions in science. Recovering greater sage-grouse populations requires that we make decisions in the context of the best knowledge possible about habitat requirements and threats to greater sage-grouse populations. With this guiding framework, I am more hopeful than ever that together we can achieve results for the greater sage-grouse that protect both ecosystem health and economic prosperity. We have a clear path forward. It’s time we take it. This entry was posted in ecosystems, Habitat Exchange, Partnerships, Wildlife Protection and tagged agriculture, endangered species, Endangered Species Act, ESA, federal policy, greater sage-grouse, habitat exchange, mitigation heirarchy, ranching, range-wide mitigation framework, sagebrush, USFWS. Bookmark the permalink. Both comments and trackbacks are currently closed. I know very little about sage grouse or specifics of their problems but it seems there is some resemblance to the dilemma facing waterfowl, especially ducks early in the twentieth century. Duck and geese populations have since rebounded to historic numbers. Much of the credit is usually given to the organization Ducks Unlimited. a non-profit NGO. Is there a lesson here? Another thought. Are coyote and coyote/dog hybreds increasing in number where sage grouse live? Remember both coyotes and coyote hybreds only went west after wolves were exterminated .Both seem to be increasing today here in north Texas where I live.